Aaron Tait from Education Changemakers inspiring delegates to innovate. 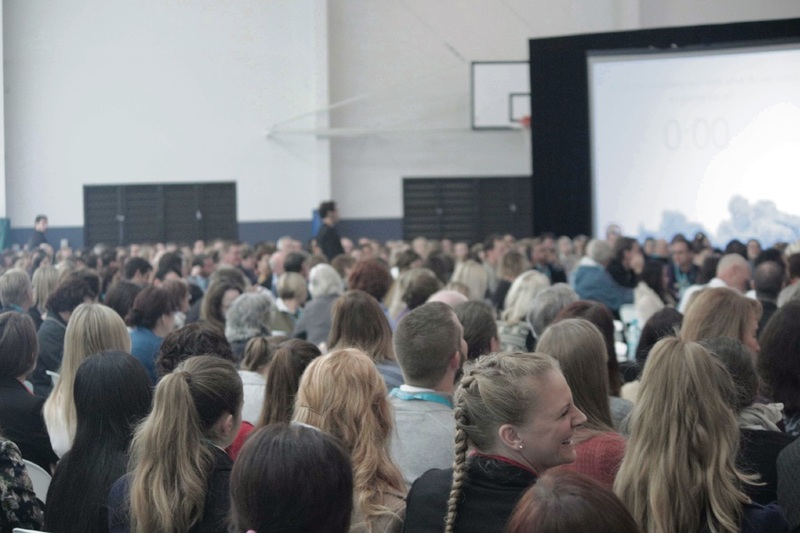 More than 400 delegates from numerous Perth schools and interstate attended the Better Education Conference. 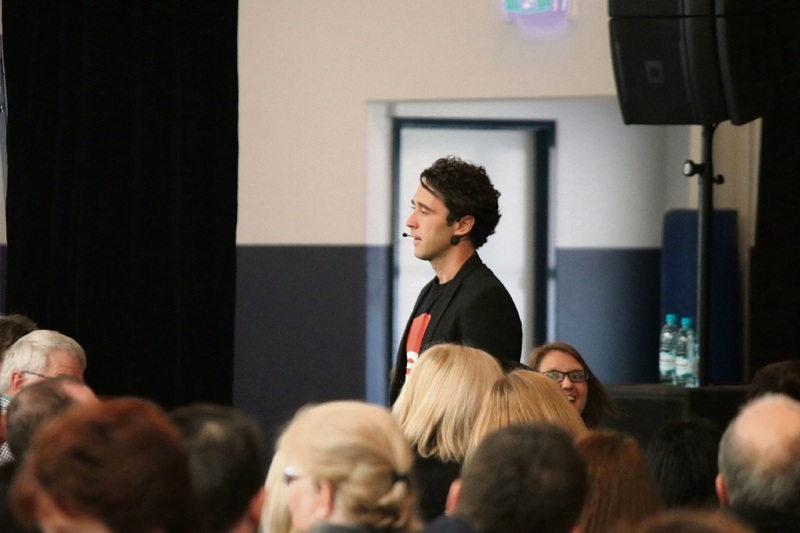 MORE than 400 teachers and educators attended the Better Education Conference hosted by Swan Christian Education Association’s (SCEA) Institute of Teaching and Learning in the Swan Valley this month. Institute principal Mathilda Joubert said educators needed to prepare students for a very different future, a sentiment endorsed by other presenters. “Students in high school today will have on average 17 jobs in their lifetime,” Mrs Joubert said. “At the same time, 50 per cent of the jobs people are currently studying for won’t exist in the next 10 years. “So how do we as educators best fulfil our responsibility of preparing our students for the world that awaits them? Swan Christian College teacher Fabienne Clicteur, who has been teaching for more than 25 years, said she was excited by what she learnt in the two-day June conference. “I am looking at problems with fresh eyes and I feel I have new tools to turn them into solutions,” she said. The 16 speakers included Dave Faulkner and Aaron Tait from Education Changemakers, student engagement expert Shona Bass, literacy expert Mandy Nayton, public engagement expert Justine Toh and executive functioning expert Michele Toner. “We believe that the answers to the challenges in education can best be solved by the creative genius and experience of the teachers and educators themselves,” Mr Faulkner said. SCEA chief executive Neil David said the association had more than 4000 students in its seven schools. “We owe it to them to invest in professional development of our staff, so that every day we are just that bit better in delivering a deeply engaging learning experience,” he said. “The buzz and excitement amongst the delegates was testament to both the quality of our speakers, workshop presenters and the passion of our educators.